As PR practitioners, it's our goal to tell our brands' stories to our target audiences in meaningful ways. As PR practitioners, it's our goal to tell our brands' stories to our target audiences in meaningful ways, leveraging as many channels as possible. The birth of the digital era sparked an evolution in the way we consume media, bringing new online, social, and mobile channels, and has also led to a sharp decline in print readership. However, print remains an important piece of the pie. Here's why. Credibility. In an age of citizen journalism where anyone can be an online reporter, online stories aren't always viewed in the same credible way as traditional newspaper articles. During Hurricane Sandy, social channels were great outlets for quick and up-to-date information. However, the hurricane also rendered a negative side of social media, demonstrating that false information can spread online at lightning speed. False rumors and Photoshopped images of New York City went viral. This trend goes beyond world events. The Annenberg School for Communication and Journalism at the University of Southern California conducted a study that found only 40% of internet users consider online information reliable. A newspaper's credibility is critical to its existence. These outlets are able to cut through the social media clutter and decipher the facts to more accurately report on news. Relevance. The digital world is extremely fragmented. There are websites tailored to every age group and interest, but these specialty online outlets aren't always relevant to the broader public. Newspapers, on the other hand, span topics and interests, and print content relevant to the global community. Similar to the Dow Jones Industrial Average, whose performance shifts the entire US economic outlook, our core top print papers and magazines provide a pressure check on the state of the world. In an industry that is continuously evolving, the one true constant has been the consistent presence and impact of print publications. Chance. I get a lot of my news online, and I enjoy that because I can search for exactly the kind of news I'm interested in. But when I read a newspaper or magazine, I find the news that I'm not looking for. That's when I find the stories that make me think beyond my everyday routine. We need to flip pages to come upon stories that surprise us, show a different point of view, teach us something new or spark a creative idea. Our ability to access real-time news online is a convenience and an important business tool, but it doesn't make print media less relevant. Emotion. When it comes down to it, people develop a relationship with their print news outlets. It becomes a tradition to sit down on Sunday morning with The New York Times. It's a tradition we pass on through the generations and one that has meaning for us beyond the news – both from a historical and emotional perspective. The one constant across all mediums, and across all people and borders, is the importance of compelling stories. Not all stories are appropriate for every medium, and we as practitioners must be strategic in how we leverage these channels to disseminate messages. The world of media may be changing, but I believe print will continue to be an important part of storytelling. 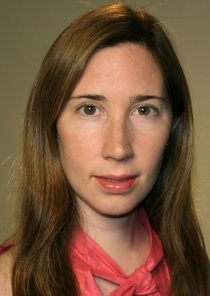 Rachel Spielman is EVP and the global head of corporate communications at Ruder Finn.